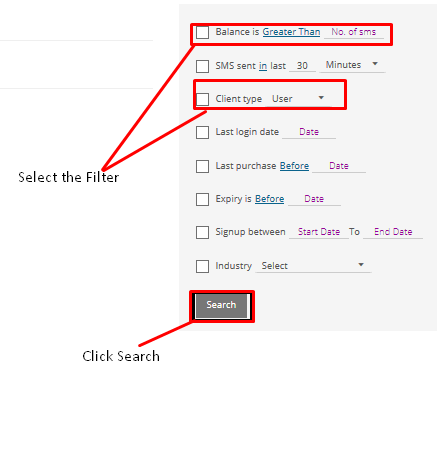 Client Search option lets the re-seller get the information about all his clients. Among the list of various filter options in the right side of your screen, select the ones appropriate for your need and then click on the search button. 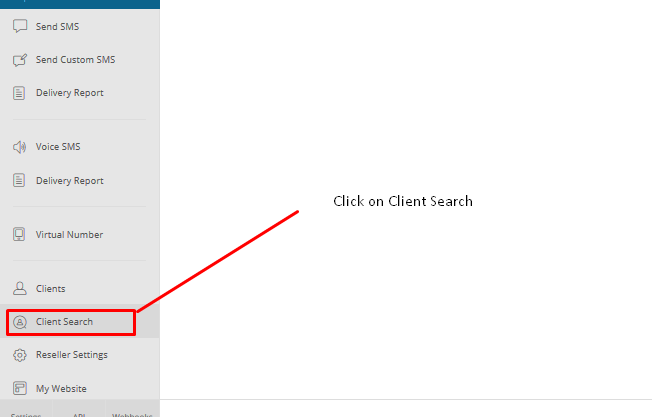 NOTE: By using this option you can also send SMS/mail to the clients or export their search details.